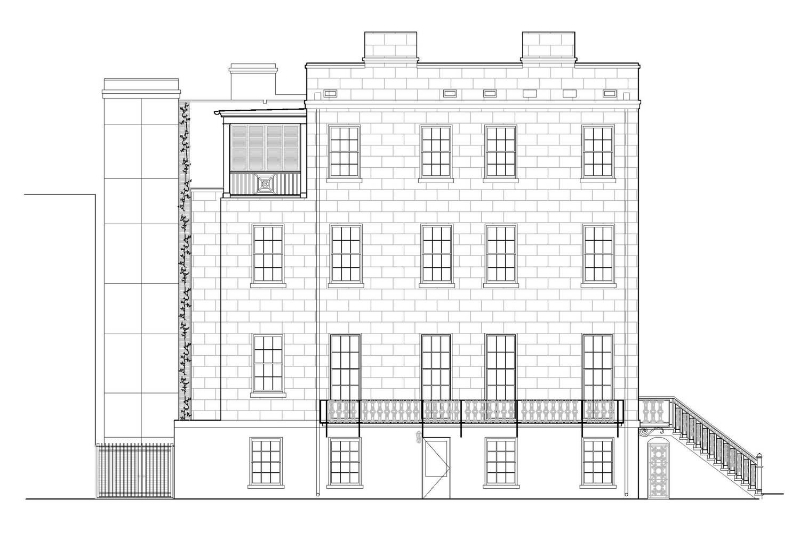 This mixed-use project included the restoration, structural stabilization, and adaptive reuse of a historic duplex building on Chippewa Square in downtown Savannah. The building will have six full floor luxury flats and two retail spaces on the garden level. New improvements to enhance the building’s original character include replacement of the existing wood steps with cast stone stairs and decorative iron railings consistent with the existing cantilevered parlor level balconies. The building was sensitively restored in order to achieve federal tax credits; however, modern amenities such as a full commercial elevator, roof gardens, and open kitchens provide modern amenities.